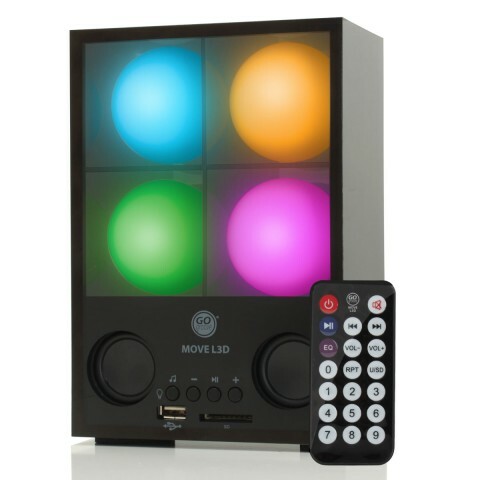 The MOVE L3D immediately grabs your attention and doesn't let go! 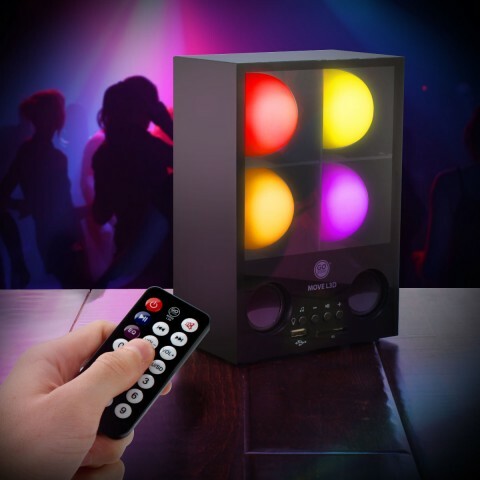 Equipped with adjustable color-changing mood lights, never be without a party starting light show. 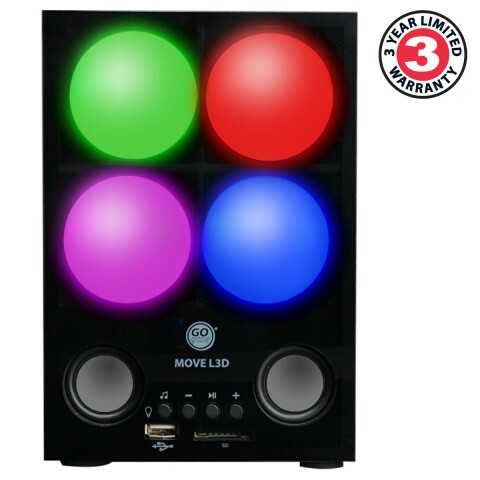 Even without music, the lights transition smoothly from red to blue to green and everything in between. 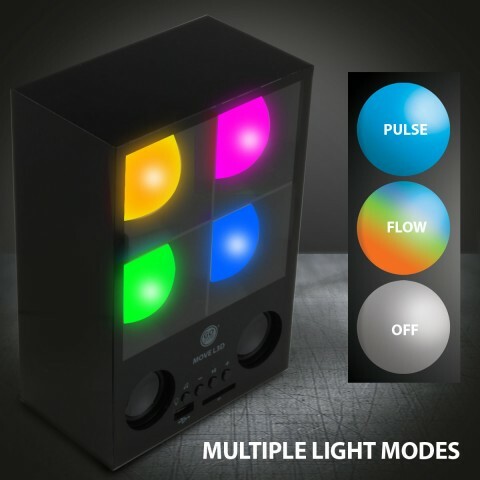 Plug your music in to enjoy the soothing glow or crank up the volume and switch the LED mode to pulse along to the beat. 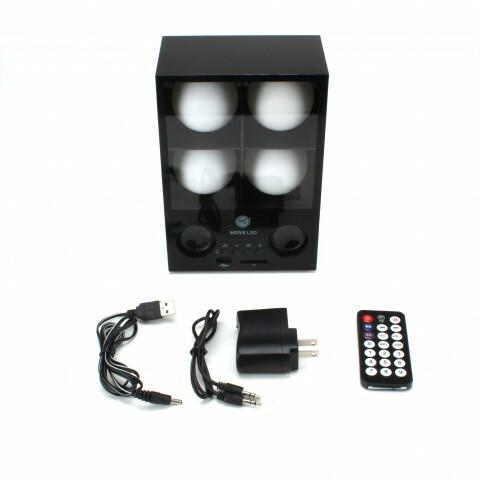 This speaker is both the perfect at home relaxing speaker and party speaker. 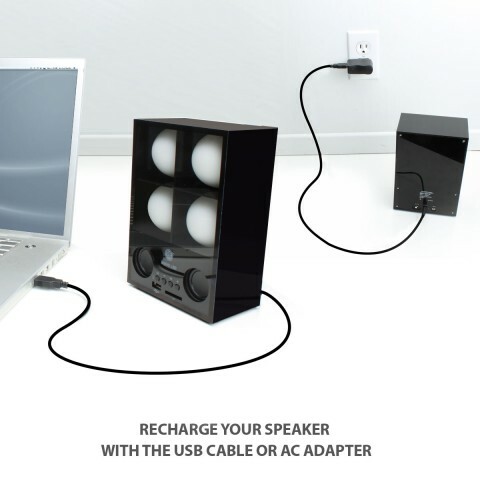 Charge the speaker by the included AC adapter or USB cable for 3 hours With a full charge, bring the speaker anywhere for 6 hours of music and lights! It might not look like something you would take to your friends house, but that's exactly what you should do! 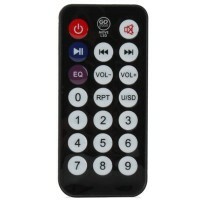 You will never be without your music with the 3 audio input options. 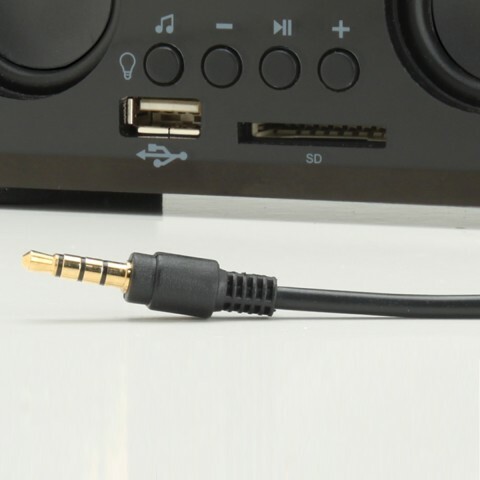 Simply plug and play your music from any Smartphone , MP3 player , Tablet , Computer , Laptop and more to listen to music instantly. 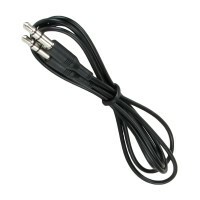 You can also connect with a USB Flash Drive or SD Card loaded with music files. The L3D supports .MP3 , .WMA, and .WAV formats. 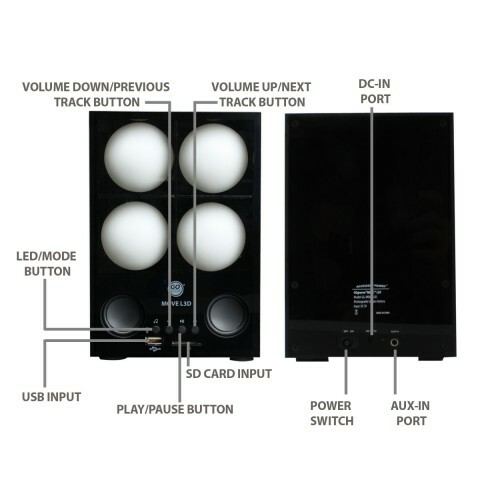 Once connected you can wirelessly play, pause, change tracks, dial tracks, adjust volume, and more with the included remote.